Sebastien Ogier won the Tour de Corse, fourth round of the 2018 World Rally Championship. Ott Tanak finished second while Thierry Neuville was third. The Frenchman eased to his third FIA World Rally Championship victory in four rounds after winning the three-day asphalt fixture by 36.1sec in his Ford Fiesta. 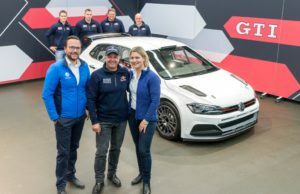 It was his second success on the Mediterranean island’s mountain roads and came 10 years after the five-time world champion secured the junior world title at the rally. He heads the championship by 17 points. Three fastest times out of four earned him a lead of more than half a minute and afforded him the luxury of managing his pace over the final two legs. “I’m very happy with our performance here. It was a great, great day on Friday and that’s where we built the platform for this win. 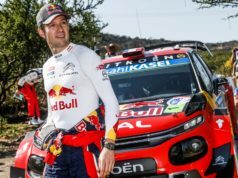 It’s never easy controlling your pace rather than driving flat out, but everything feels better and better in this car,” said Ogier. The Estonian restarted today with just a tenth of a second in hand over Thierry Neuville. He distanced the Belgian in the marathon 55km opening test and widened the gap to 31.4sec as Neuville encountered problems. Thierry limped through the final test with engine troubles in his Hyundai i20 and was grateful to hold a large advantage over team-mate Dani Sordo. He finished 55.1sec clear of the Spaniard. Sordo and Elfyn Evans were never split by more than a handful of seconds all weekend. 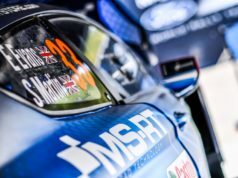 The Welshman had to settle for fifth in his Fiesta, a fine result as 2003 world champion co-driver Phil Mills replaced the injured Dan Barritt for his first WRC rally in almost eight years. The Finn thrust himself into the fight for second yesterday, but his hopes were shattered when he hit a kerb and stopped to change a punctured tyre. Ironically Neuville hit the same kerb but escaped. Lappi plunged to seventh but salvaged maximum bonus points by winning the final Power Stage in his Yaris as well as overhauling Andreas Mikkelsen to climb to sixth. The championship returns to gravel roads for YPF Rally Argentina, which is based in Villa Carlos Paz on 6 – 9 April.